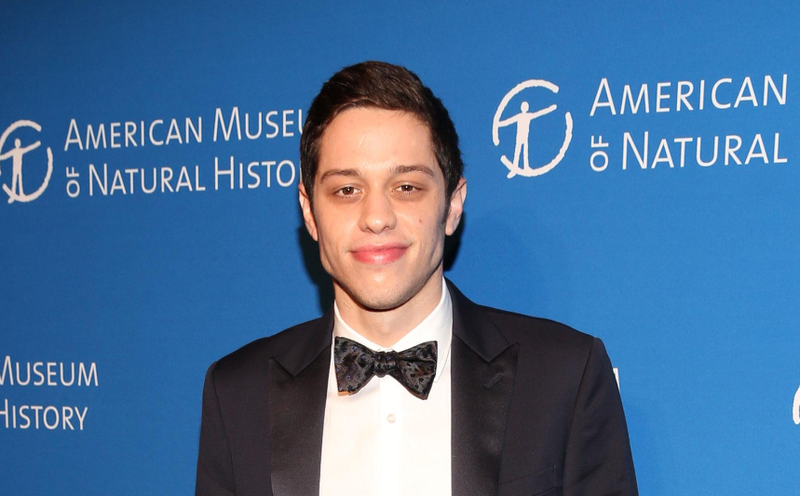 A well-known and famous American Actor, as well as Comedian, is famed as Pete Davidson. He is a cast member on "Saturday Night Live" and also appeared in the MTV shows Guy Code, Wild 'n Out, and Philosophy. In addition to this, he has also performed stand-up comedy on Adam DeVine's House Party, Jimmy Kimmel Live!, and Comedy Underground with Dave Attell, and guest-starred in Brooklyn Nine-Nine. For playing various characters on "Saturday Night Live" as a recurring cast member. 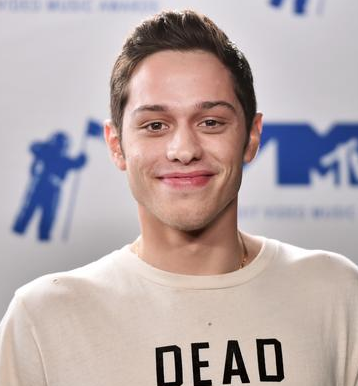 Who is Pete Davidson's father? On 16th November 1993, Pete Davidson was born in Staten Island, New York, the U.S. As he was born in the U.S, his nationality is American. He is the son of Amy Davidson and Scott Mathew Davidson. His father was of Jewish heritage and his mother is of Irish ancestry; Davidson was raised Catholic. His father was a New York City firefighter who died in service during the September 11 attacks. His mother works as a school nurse. Talking about his siblings, he has a younger sister named Casey. His sun sign is Scorpio. Moving towards his education, he attended St. Joseph by-the-Sea High School, then Tottenville High School before transferring to Xaverian High School in Brooklyn where he graduated in the year 2011. Later, he enrolled at St. Francis College in Brooklyn Heights, remaining briefly before dropping out. Currently, he is residing in Brooklyn Heights, New York. Pete Davidson has got a slim body build with an attractive body. He stands 6 ft 3 in tall with a balanced weight of 83 Kg. He has a balanced and healthy body. His hair color and eye color is Dark Brown. Davidson has his father's badge number, 8418, tattooed on his left arm. He also got a tattoo on his leg of Clinton, whom he called his "hero", a "badass", and "one of the strongest people in the universe". His sexual orientation is straight. What does Pete Davidson do? Pete rose into the fame when he appeared onscreen in the third episode of the MTV comedy series "Philosophy", which premiered 28th February 2013. After his successful fame, he appeared in "PDA and Moms," a third-season episode of the MTV2 reality TV comedy series "Guy Code". Later, his first televised standup aired as part of a second-season episode of the Comedy Central program "Gotham Comedy Live", which showcases standup comedians at the Gotham Comedy Club in New York City. He then appeared on "Nick Cannon Presents: Wild 'N Out" and also in standup appearances such as Adam Devine's House Party, Jimmy Kimmel Live!, Comedy Underground with Dave Attell, and guest-starred in Brooklyn Nine-Nine. In the year 2014, he acquired a role in a Fox Comedy Pilot named "Sober Companion". He then joined the cast of "Saturday Night Live" with that show's 40th-season premiere, which debuted on 27th September 2014. He was also featured in the comedy movie "Trainwreck" and "Soul Plane". In March 2015, he was a roaster on the Comedy Central Roast of Justin Bieber. In the year 2016, he was on the Forbes 30 under 30 lists and also he recorded his first stand-up special "Pete Davidson: SMD". The Comedy Central special was filmed in New York City. Pete also made an appearance on "The Jim Gaffigan Show". Pete is not married yet but she is in a relationship with Ariana Grande. On 20th June 2018, he confirmed that he and singer and actress Ariana Grande were engaged to be married. Currently, they are living a happy life and there is no sign of separation between them. Previously, he dated Cazzie David (daughter of Larry David) for two years. How much is Pete Davidson worth? The net worth of this famous comedian is estimated to have around $500,000 as of 2018. He is earning a good amount of money from his work. He is satisfied with his earning and he is living a luxurious life with his girlfriend, Adriana Grande. His exact salary is still to get figure out and will be updated soon. He is the fourth youngest cast member in the 40-year history of SNL and the first who was born after 1990. Pete is crazy about Harry Potter books and movies. He has several Harry Potter tattoos on his body including a symbol of Deathly Hallows. He has a shoe fetish and owns a large collection of sneakers in many colors. He was discovered by Nick Cannon when he was 17 and the two have even toured together. Stand-up comedy is Pete’s way to deal with unresolved emotional issues or openly comment upon things otherwise difficult to discuss in a normal conversation.